Hang on -- and enjoy the ride! Home / Many Voices / Hang on -- and enjoy the ride! 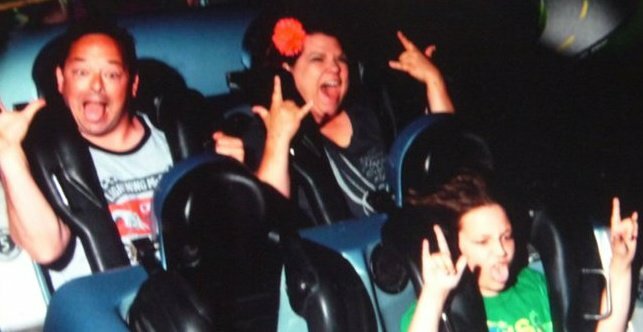 I love roller coasters. And it is a good thing that I do… the past couple of months have SEEMED like a really long roller coaster ride in my little neck of the community Foundation woods! Between the months of February and June, I have been busy with the hustle and bustle of grant season, starting some new funds, and a not-so-little event that we like to call Fun Run for Charities. The days are long, the sleep is sparse and there is never enough caffeine or chocolate (kind of like an amusement park vacation!). I have probably looked like I have been on a roller coaster as well, big smile, crazy hair and that wild-eyed look that you get when you are running on pure adrenaline. But, I wouldn’t trade it for anything! It is my favourite time of year! There is always something exciting going on; a new fund created, an organization excitedly sharing pictures of the project that was funded, a community pulling together for a huge event… each day brings new and wonderful experiences. I remember one whirlwind day that started off with a group facilitation of a community event, followed by an affiliate board meeting, followed by a conference call on women’s giving and ending with a chamber expo in another county. My family and I will be on vacation when you read this. Now after all of these months of long hours and hard work, I should probably be relaxing on a beach somewhere, but I’m addicted to the energy… so we are off to Disney World! First stop: Rockin’ Roller Coaster!